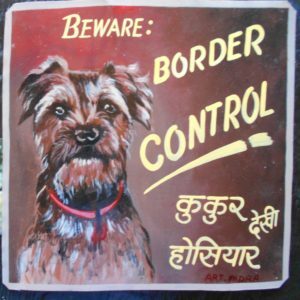 Rooney is a beautiful Border Terrier, her hand painted on metal by the Nepali artist Indra Lama. 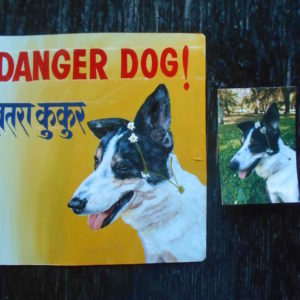 He looks great with his lively brown background. 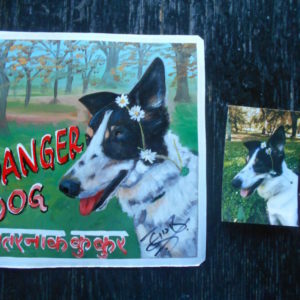 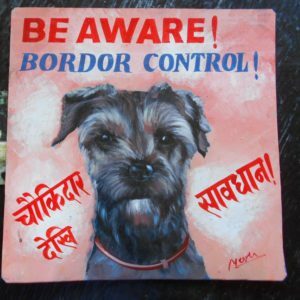 Rooney the Border Terrier (or Bordor Terrier) is hand painted on metal by the artist Megh Raj Thapa, a sign painter in Kathmandu.